We, the family Joksimovic, run our house already now more than 20 years and we were one of the first families who have rebuilt and opened a pension in Cavtat after the war. For us it is really important that each of our guests felt welcomed as a friend. 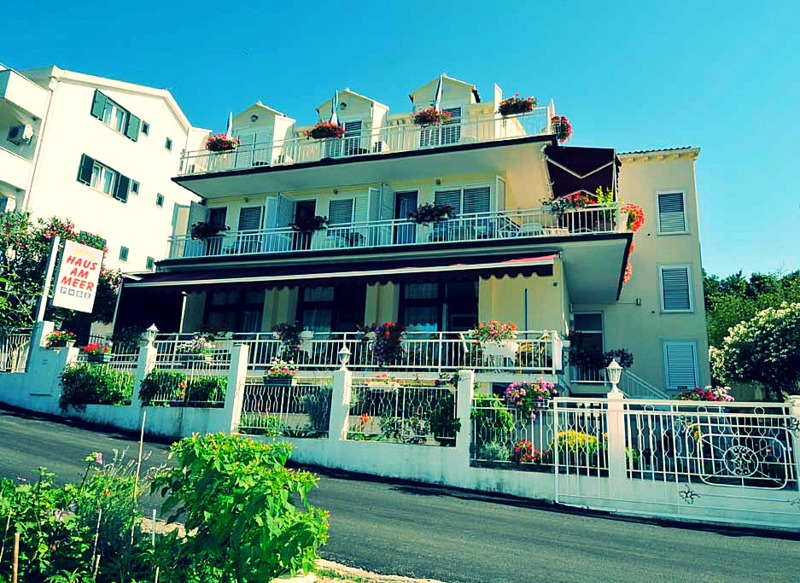 Guest house "Haus am Meer" warmly welcomes you the picturesque town of Cavtat situated close to the world renowned Old Town of Dubrovnik, a world heritage site since 1979. Cavtat old town reveals its charm through the many narrow back streets and restaurants located along the harbour front. Sit and watch the boats as you sample the local quisine, wines and beers. Relax and enjoy the atmosphere, the beautiful climate and hospitality that attracts visitors, many return time and time again. Discover the beauty of the peninsula, sit and watch a game of water polo, or just take a cappuccino on the Riviera under the palm trees. Take a boat trip from Cavtat harbor to Dubrovnik, a must for all visitors, see the historic city from the perimeter walls or just amble in the beautiful old town, you will not be disappointed. You may also wish to join the summer festivals that take place in Dubrovnik. For the more active and energetic enjoy a swim in the warm crystal clear waters of the Adriatic or enjoy your favourite water sport parasailing, jet-skiing or scuba diving. Or if you prefer, hikers will enjoy exploring the beautiful Konavle area and if you wish you can also explore the area on an organised horse riding safari. After your enjoyable day return to Haus am Meer and relax and take a drink or two on the terrace or just return to the tasteful and individually decorated rooms. You will not be disappointed.